Come strut your stuff at the BronyCon 2017 Cosplay Fashion Show. Participants will have the opportunity to show off “the art of the dress” in this NON-COMPETITIVE cosplay event. Awards will only be given to participants who have registered for the craftsmanship-focused Hall Cosplay Contest. However, if you are someone who would just like to show off your costume in front of an audience, this is the event for you. You are still required to register in order to walk on stage; this will be on a first-come, first-served basis. If you would like to compete in the Hall Cosplay Contest, please see the Hall Cosplay Contest Rules. Pre-register now for the 2017 Fashion Show. At-con Cosplay Fashion Show registration times will be announced soon! Any participant who does not follow the rules of the Fashion Show, misses line-up times, or does not follow the instructions of Events Staff during the event, may be disqualified at the discretion of the Cosplay Manager. Costumes may be from any genera. This includes but is not limited to: MLP, Anime, Video Games, American Cartoons, Comics, Movies, TV, etc. Original character entries from fandom based media (e.g. Fallout Equestria) are also permitted. Horse-head masks, t-shirts, silly hats, or exclusively Marketplace merchandise and accessories will not be considered an eligible costume. Costumes cannot be profane or inflammatory in any way. No profanity is permitted on or off stage. Any foul, crude, or offensive language of any kind made on or off stage will ground for immediate removal from the event. This includes messages on signs or clothing. Political or religious statements during and off the catwalk are prohibited. Pyrotechnics, flash-pots, smoke bombs, explosive devices, smoke, fog machines, glitter, confetti, projectiles, or other similar special effects may not be used on or back stage. Absolutely no food or drink (except bottled water) is permitted on or off stage. Skits, stunts, or staged falls are NOT permitted on stage. Do not enter or exit the catwalk except at the designated points. Please be mindful of the other participants by waiting your turn to go on stage until they have already exited. Participants’ costumes must allow them freedom of movement. BronyCon staff may not be able to assist entrants with their costumes. For the Fashion Show, entrants must be able to navigate stairs and move across the stage unassisted. If you require a handler, please notify us ahead of time. If you are a participant who needs special accommodations, please inform a staff member before the show so that we may be able to assist you. Participants and groups may only register under ONE of the following categories. Multiple registrations are NOT permitted! Please review the category summaries so that when you register you will be assigned to the appropriate category. Each category will have only 40 spots available, so please make sure to come early in order to register and arrive on time when your category is lining up for the Fashion Show. Groups may join any category but may only walk on with a maximum of 6 people. Groups exceeding this maximum may have to walk on separately. Fillies and Colts: This is a special category just for participants who are 13 years old or younger where they can show off their wonderful costumes and creativity! Parents will be required to sign a waiver and may walk on stage with their child/children. The Mane 6: Is a category for participants dressed as one of the following: Twilight Sparkle, Fluttershy, Rainbow Dash, Rarity, Pinkie Pie, or Applejack. Villainous Villains: A category for our “devious” cosplayers dressed as some of the meanest, scariest, bad-to-the-bone, (or misunderstood) villains and rivals from My Little Pony. This category includes villain or rival characters from the show as well as previous MLP generation villain/rival characters. Background Ponies: This category is for participants dressed as some of the show’s favorite princesses (other than Twilight Sparkle), sidekicks, background characters, or other minor characters from the MLP universe and past generation characters. Fur Suits and OC’s: A category designed for cosplayers who devote their work into creating some amazing life-size pony character-suits. Please make sure that your suit has proper vision and mobility for walking onstage. You may bring your handlers to help assist you on and off stage. 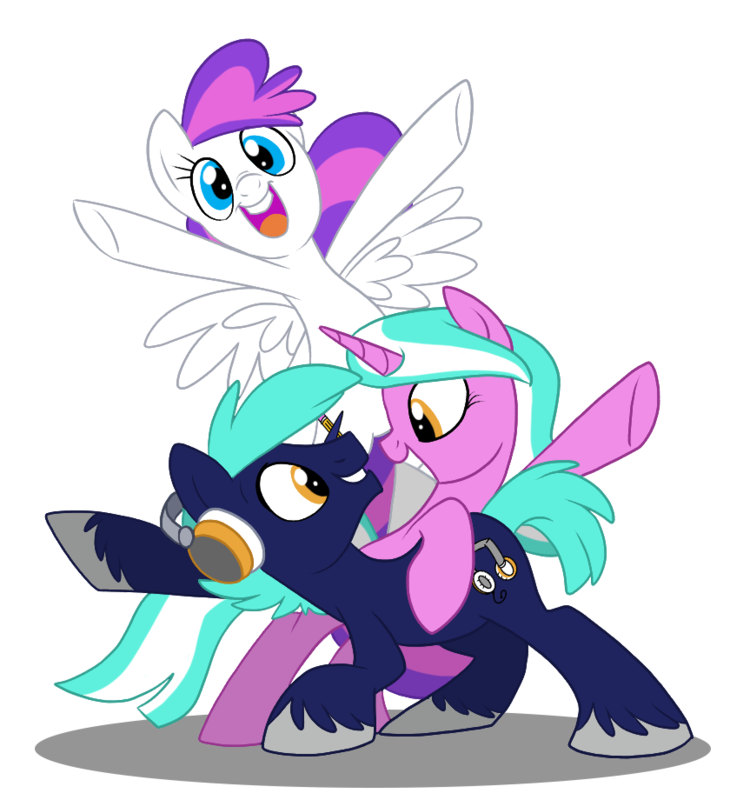 This is also a category for participants who have their own original character based on the MLP universe. This includes all fan created characters. Non-MLP Costumes: New to this year, this category is for those who are showing off their pride for their another of their fandoms not related to MLP. Hall Cosplay Contestants: ONLY for registered contestants who appeared for pre-judging may join this category. All Saturday Hall Cosplay Contestants are required to participate in our Fashion Show on Saturday afternoon to show off their handiwork. Friday participants are strongly encouraged to walk in the fashion show as well, but if they do not walk, they are asked to sit in the audience and watch. At the end of the Fashion Show, the judges will announce and award prizes to only the final contestants of this category. Participants entering the Fashion Show will be asked to arrive at at a time specified on the schedule (this will be posted before the convention) before the actual event. There you will receive a registration form and given instructions where/when to line up before the show. Registration forms can be submitted early for the Fashion Show online to ensure a spot before the actual con. HOWEVER, you still must arrive on time before the actual show in order to qualify for your spot. Otherwise your spot may be given to any wait listed participants. Please arrive early! This event will be a first-come-first serve basis. If your category has exceeded the maximum number of participants, we may be able to assist you by placing you in a category that is not full or by putting you on the waitlist should any registered participants not show up for the event. Please email us at [email protected] with any and all concerns about the Cosplay Fashion Show. We will gladly assist you in whatever way we can.